Are you curious about the natural world? Want to connect with others to care for a park near you? 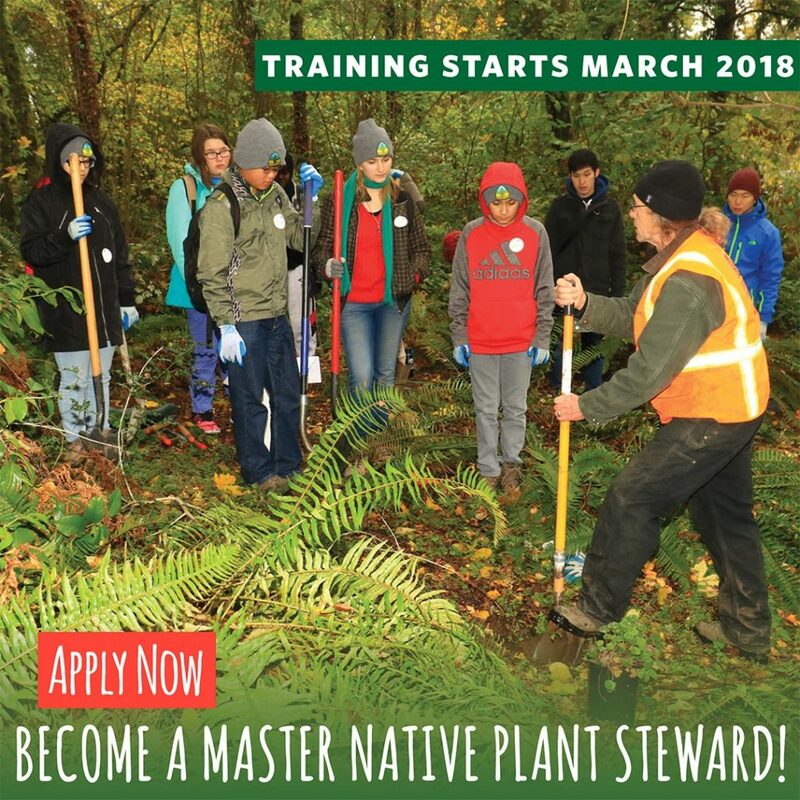 The Washington Native Plant Society (WNPS), Seattle Parks and Recreation, and the Green Seattle Partnership are recruiting now for the Master Native Plant Steward Program! Once training is complete, steward teams will work together at a Seattle Park to carry out a restoration project and with WNPS (at least 100 hours over 18 months). These teams will contribute to the Green Seattle Partnership’s goal of restoring 2,500 acres of forested parklands. All tools and materials will be provided with experts available to support each team. 9am to 4pm on Fridays from March 2, 2018 to May 18, 2018 (at Seward Park or Camp Long), and two Saturdays, March 24 and April 21st (field trips to local parks). Learn more and download the application HERE. Applications are due February 18, 2018, sent to CPSStewardshipProgram@gmail.com. For telephone inquiries, contact the Stewardship Coordinator (Joy Wood) at (206) 963-5704. Seattle community members have priority, however all applications are welcome. To learn more about the Green Seattle Partnership, check out www.greenseattle.org.